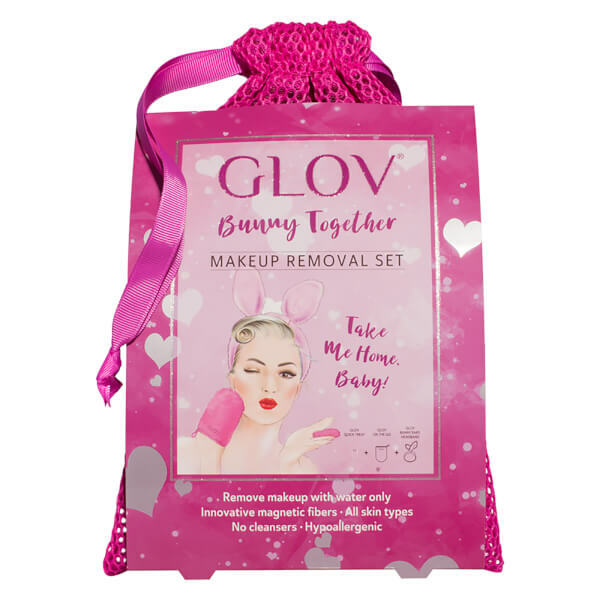 Expertly cleanse and refresh your skin with the GLOV Bunny Together Set, a pair of innovative cleansing gloves teamed with a fun bunny headband for easy and effective makeup removal. An effortless, efficient and simple way to cleanse skin without the need for a cleanser; perfect for travel or as an everyday solution. Suitable for every skin type and contact lens wearers, the delicate and naturally antibacterial glove delivers a light yet effective clean with a gentle peeling effect to unveil skin that feels fresher and revitalised. Simply use the makeup removing tool with water for an instantly purified and smooth complexion. Make sure your hair doesn’t get in the way of your cleansing routine with this adorable bunny ears headband. Super-soft and suitable for sensitive skin, the hairband will ensure you experience an easy, effective cleanse every time.